Gold Elvis Glasses including a pair of gold plastic framed glasses with black lenses – Ideal for a Rock theme, 50s 60's and 70s theme, or any fancy dress occasion! Let the rhythm take over as you transform your look with these brilliant Gold Elvis Glasses. This pair of Gold Elvis Glasses is an official licensed product with a gold coloured plastic frame and black lenses . 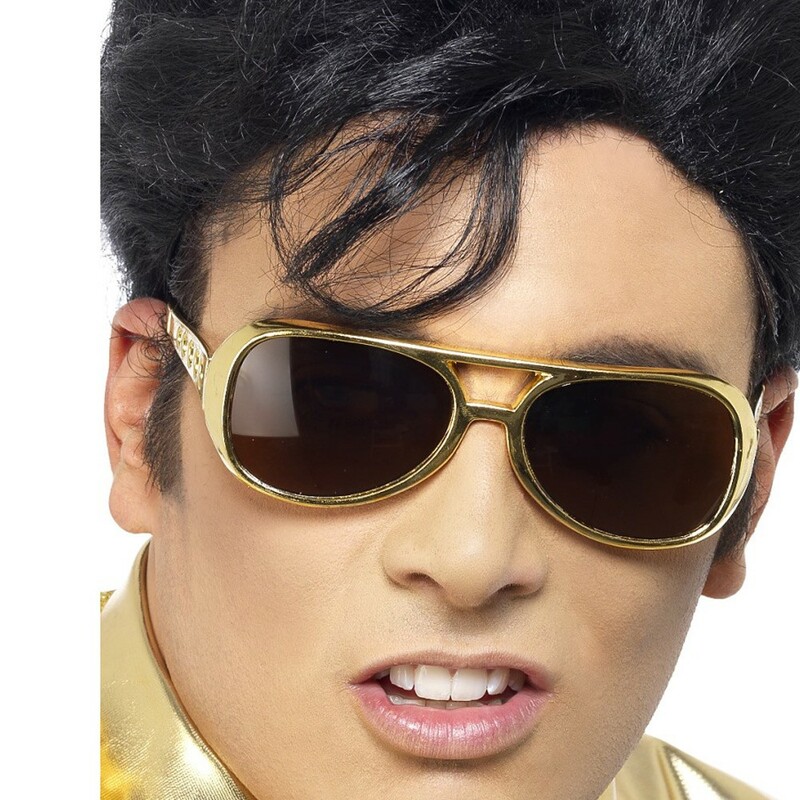 These Gold Elvis Glasses will be sure to make you stand out as you take to the stage to sing that iconic Elvis song! Perfect for any 50s, 60s or 70's theme or many other fancy dress parties, these Gold Elvis Glasses will be sure to impress no matter what the occasion! So party in true style with these fantastic Gold Elvis Glasses. A pair of official licensed Gold Elvis Glasses.